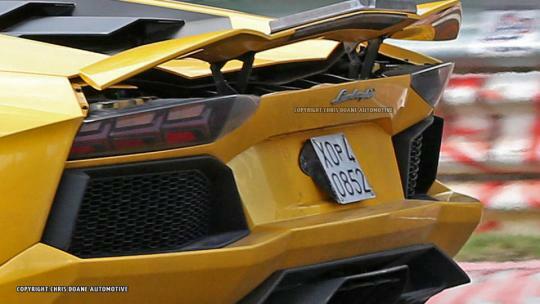 > 2015 Lamborghini Aventador SV spotted! 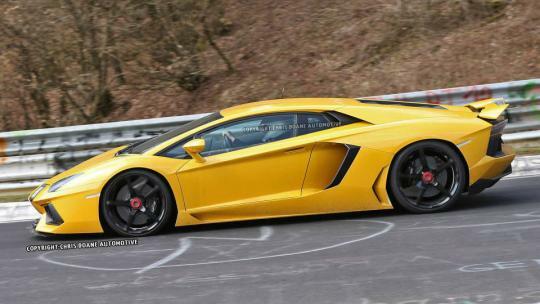 The current generation Lamborghini Aventador already has what it takes to catch the eyes of people from young to old. It is beautiful, aggressive, and ultimately, there's no doubt that it can tempt people to say "I want one!". However, it seems that the Italian automaker won't stop there. 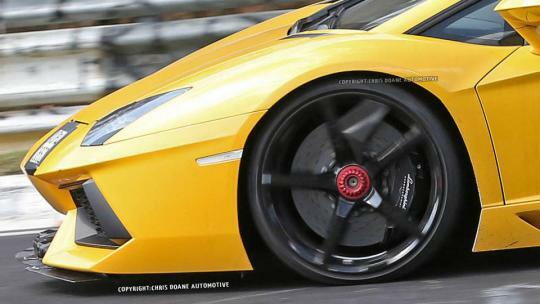 A new generation of the supercar, namely the Lamborghini Aventador SV, is likely well underway. With remarkably large brake calipers, lower front fascia for increased aerodynamics, and also a gurney flap for its rear spoiler, this next generation Aventador transforms into an even more aggressive monster than its elder brother already ruling the driveway of the wealthy. 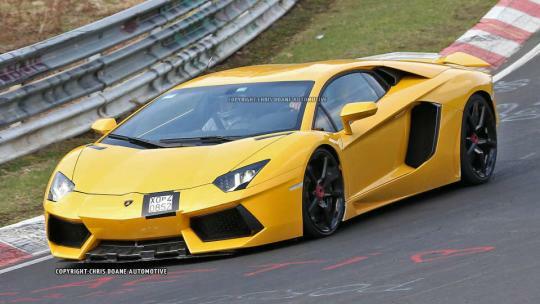 It is believed that this Aventador SV will carry an upgraded 6.5-litre V12 engine. That will get the driver going at 100km/h from a standstill in less than 3 seconds � which is the time span required by the present day Aventador to go from 0-100 km/h. The model is likely to be launched somewhere between late 2014 and early 2015. Since the Lamborghini is attaching the SV emblem to this 2015 Aventador, it reminds me of the Lamborghini Murcielago SV which had a limited production run of only 350 units. Yet, the real number of examples built only totaled 186 units. 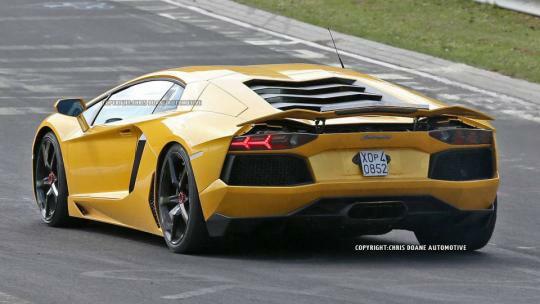 Therefore, it leads me to believe that the 2015 Lamborghini Aventador SV will also have a limited production run. Well, in that regard, will one of us be the lucky one to drive home one?